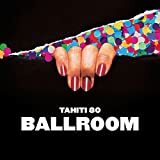 トップ > 1曲語り > Tahiti 80 - Crush! D'you remember what I said? Is it still ringing in your head? Cos I’m onto something better!